We see it every single season around the NFL. Players that have performed well hitting that proverbial brick wall. Whether it’s age or something else, this isn’t anything new. Heading into the 2019 season, that hasn’t changed. One of the most dominant trios in recent history have now gone their separate ways. What does that mean for Ben Roethlisberger and his former stars, Le’Veon Bell and Antonio Brown? 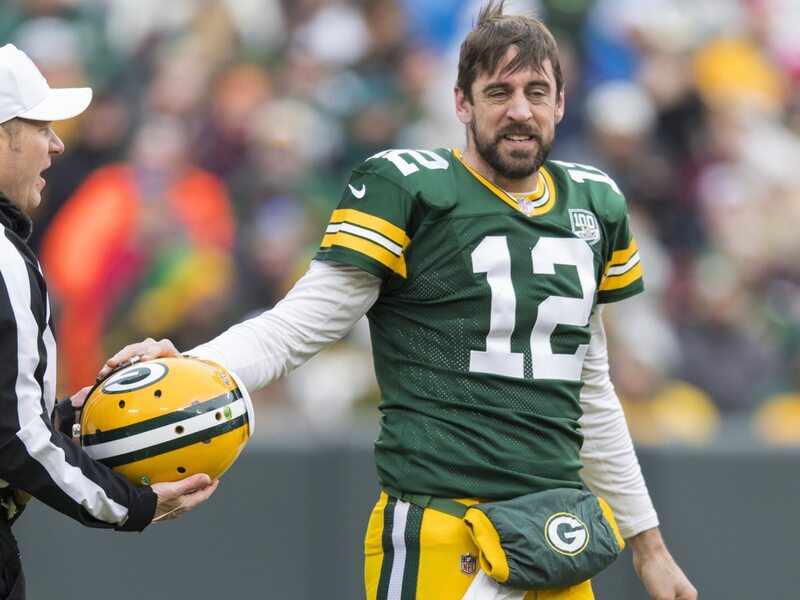 In Green Bay, injuries have impacted Aaron Rodgers in a big way. Is he set to regression this season? These are among the 10 NFL stars about to face during the 2019 NFL season. This veteran receiver will likely see an uptick in targets next season now that Rob Gronkowski has retired. In no way does this mean the 33-year-old Amendola is going to be as efficient as we’ve seen in the past. He put up just 575 yards and one touchdown while averaging less than 10 yards per catch last season. Getting up there in age and without a whole lot behind him on the depth chart, the expectation here is that Amendola will take a major step back in 2019. It’s an interesting theory. It could have also played a role in the lackluster market that Bell found in free agency. Was he more of a product of the Steelers’ system than anything else? With Bell sidelined to a holdout last season, second-year back James Conner put up 1,470 total yards and 13 touchdowns at a clip of 5.4 yards per touch for Pittsburgh. Those are similar to Bell’s numbers in the past. Now in a new system with a less-experienced quarterback, the expectation here has to be that Bell won’t duplicate the All-Pro seasons we saw in Pittsburgh. It was surprising to see Minnesota retain the 28-year-old Rhodes at a $13.3 million cap hit for the 2019 season. A former Pro Bowler, he took a major step back this past year. According to Pro Football Focus, Rhodes ranked fifth among Vikings cornerbacks in coverage. Given that this team continues to exhaust high-round picks on corners (Mike Hughes in 2018), it would not be a major shock of the Vikings had a short leash with Rhodes in 2019. That’s a far cry from his prime years. The trio of Big Ben, Le’veon Bell and Antonio Brown put up some astounding numbers during their time together in Pittsburgh. Now that this future Hall of Fame group is no longer together, we’re expecting all three to struggle in 2019. That includes a quarterback in Roethlisberger who is entering his Age-37 season and threw a league-high 16 interceptions in 2018. He will miss Brown just as much as Big Ben missed Bell during a holdout 2018 campaign. Look for major regression from this Super Bowl winner. If healthy, Watt has more than proven to be right there with Aaron Donald as the most impactful defender in the NFL. Last season saw the three-time Defensive Player of the Year record 25 quarterback hits, 16 sacks and a league-high seven forced fumbles. Unfortunately, it was the first time since 2015 that Watt played as many as five games. At 30 years old and with a ton of injuries in his past, we’re going to come to the unfortunate conclusion that Watt regresses in 2019. It’s bound to happen. Father Time catches up with us all. If the end of last season is any indication, it is quite possible that we’ve already seen the best from Goff. Playoffs included, he threw seven touchdowns compared to eight interceptions over the final eight games. Prior to that, Goff had tallied 26 scores and six picks in his first 11 outings. It’s just a bad way to end what was a tremendous season for the young quarterback. Now that we’re not sure about Todd Gurley’s health moving forward, there has to be genuine concern that Goff has hit his ceiling. Los Angeles deciding against extending him this offseason magnified that further. At this point we’re not even sure McCoy will be a member of the Buccaneers next season. The team was previously said to be looking to trade him. Though, that was quickly denied by the powers to be in Tampa. Even then, McCoy failed to show up for voluntary workouts earlier in the offseason. At 31 years old, the six-time Pro Bowler is already past his prime. He now has to work under a new defensive scheme after putting up his worst pass-rush performance since all the way back in 2012. Was Brown a product of Roethlisberger in Pittsburgh? We wouldn’t go that far. What we will say is that the two meshed well on the field until their relationship took a turn at some point over the past calendar year. When looking at Brown’s on-field performance, there’s every reason to suggest he’ll struggle with Derek Carr in Oakland. Brown caught a seven-year low 61.9 percent of his targets last season. Meanwhile, Carr struggled getting the ball down the field and to the outside under Jon Gruden in 2018. Everything is in the works for Brown to have a career-worst performance in 2019. Despite not recording a single interception in his first season with the 49ers, Sherman acted the part of a shutdown cornerback. All said, he yielded less than 20 receptions and a completion rate of under 50 percent on the year. Those are the typically elite numbers we’ve seen from this borderline future Hall of Famer. Unfortunately, Sherman’s lack of play-making ability hurt a 49ers defense that recorded just two interceptions last season. Now that San Francisco addressed corner opposite Sherman this offseason, teams will test the 31-year-old defensive back. That could lead to the first real struggles of Sherman’s career. Injuries. We previously focused on why Green Bay might be smart to start looking for a future franchise quarterback behind the 35-year-old Rodgers. He continued to get beat up behind a lackluster Packers offensive line that yielded a seven-year high 49 sacks of Rodgers last season. It led to a multitude of injuries. Sure Rodgers will still play at an elite level when on the field. We’re just concerned that the battering he’s taken recently will impact Rodgers’ ability to both stay on the field and remain as productive as we’ve seen in the past.